Tirumala Sri Venkateswara Swamy Temple is a famous Vaishnava temple located in Tirumala hill town of Chittoor District, Andhra Pradesh in South India. Tirumala temple is also known by other popular names like Tirumala Balaji Temple, Tirupati Balaji and Tirupati Temple. Lord Venkateswara Swamy, who is also called as Lord Srinivasa or Balaji is the main presiding deity of this ancient historic temple. Tirumala is a holy hill town consisting of seven peaks representing Lord Adiseshu, thus earning the famous name of Seshachalam. Tirumala temple lies on the seventh peak named Venkatadri. The temple is located in hill town of Tirumala at Tirupati city in Chittoor district of Andhra Pradesh State. Tirumala Balaji temple is one of the most visited richest temples in the world. Everyday Lord Venkateswara Swamy Idol is decorated with Dhoti at the bottom and with a Saree at the top. A small waterfall exists behind the main idol of Balaji. All flowers and items used in the main sanctum are discarded in this waterfall only which emerges at Yerpedu which is at a distance of roughly 11.3 KM from Sri Kalahasti. The glory of Lord Venkateswara Swamy reached its peak during the Vijayanagara period. The great Vijayanagara ruler Sri Krishna Devaraya visited the sacred shine seven times during his region, along with his consorts. Even today, visitors can see the statues of Krishna Devaraya and his consorts placed in the temple at the portals. In Varaha Purana, it is mentioned that in Treta Yuga, Lord Rama along with Goddess Sita and Laxmana came here on his return journey from Lankapuri. Approximately, 150,000 Laddus [Prasadam] are made every day and has a Global patent. Abhishekam - Carried out to Lord Venkateswara every Friday in the early morning. Nijapada Darshanam - Every Friday devotees can worship the sacred feet of Lord Srinivasa which will take place after Abhishekam. Note: Some seva's are cancelled during the festival period. Most pilgrims who visited the Tirumala Balaji temple usually make a vow to offer their hair and TTD has established 19 Kalyanakattas in various places in Tirumala. However, the main Kalyanakatta is located opposite the old Anna Prasadam complex and offers the free tonsuring facility. Alamelu Mangapuram or Tiruchanoor Sri Padmavathi Ammavari Temple is at a distance of approximately 5 km from Tirupati. The mother Goddess is the consort of Lord Venkateshwara Swamy (Balaji). The temple town of Tirupati is well-connected by Road, Rail and Air networks and can be easily reached from all popular cities in India like Vijayawada, Hyderabad, Bengaluru and Chennai. Pilgrims can reach Tirupati by road, bus or train network and from there they can choose to reach Tirumala by road or can climb the hill on foot from Alipiri Junction. From Tirupati, Tirumala temple is roughly 20 KM away via Tirumala Ghat road. APSRTC run frequent free buses from Tirupati Railway Station (TPTY) to Alipiri for the sake of pilgrims who intend walk up the hill and reach Tirumala to complete their Venkanna Mokku. Also, many APSRTC Buses, Jeeps and Pre-paid Taxis directly ply to Tirumala hills. Please note that Buses and other transport vehicles are not permitted to ply on the Ghat road between 12 AM and 3 AM. The total journey takes around 1 hour and APSRTC is providing frequent buses every 15 minutes for Tirumala. Tirumala doesn’t have any direct railway station. So, pilgrims need to come to Tirupati first which at a distance of 26 km and is well-connected with all major cities across India. From there, pilgrims can easily reach Tirumala on road. The nearest domestic airport to reach Lord Balaji Tirumala temple is located at Renigunta. This town is at a distance of about 12 km [23 min] from Tirupati. Renigunta Airport has direct flights from Hyderabad, Chennai, Bangalore, Visakhapatnam and Delhi. Plans are going on to make it an International Airport in near future. Recently, TTD has introduced the traditional dress code system for both men and women to enhance the spiritual atmosphere among devotees. For Women: Sari/Half-Sari with blouse / Chudidar and Pyjama with Duppatta (Upper cloth). There are many Choultries that offer free accommodation at Tirumala. Pilgrims can also use the Dormitory halls offered by TTD. For more information on accommodation facilities, pilgrims can contact the Central Reception Office located near Tirumala bus stop. Please share your valuable opinions in the comment section and encourage us to write more temple related articles. 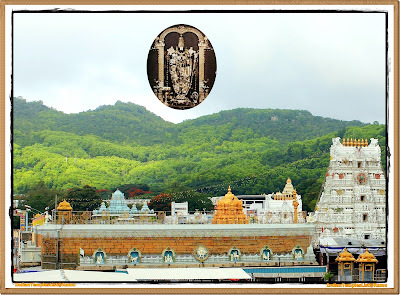 How Far is Tirumala from Tirupati? Tirumala, the holy temple town of Lord Balaji, is only 22 km away from Tirupati. You can easily reach the temple by bus, jeep or taxi. How many steps you need to climb from Alipiri to Tirumala? There are about 3550 steps to climb with a length of about 11 km to reach Tirumala on foot from Alipiri. This is the most used route to climb to Tirumala. Alipiri Mettu is open 24 hours and TTD operates free buses from Tirupati Railway station, T.T.D Cottage and Bus Stand to Alipiri for pilgrims. 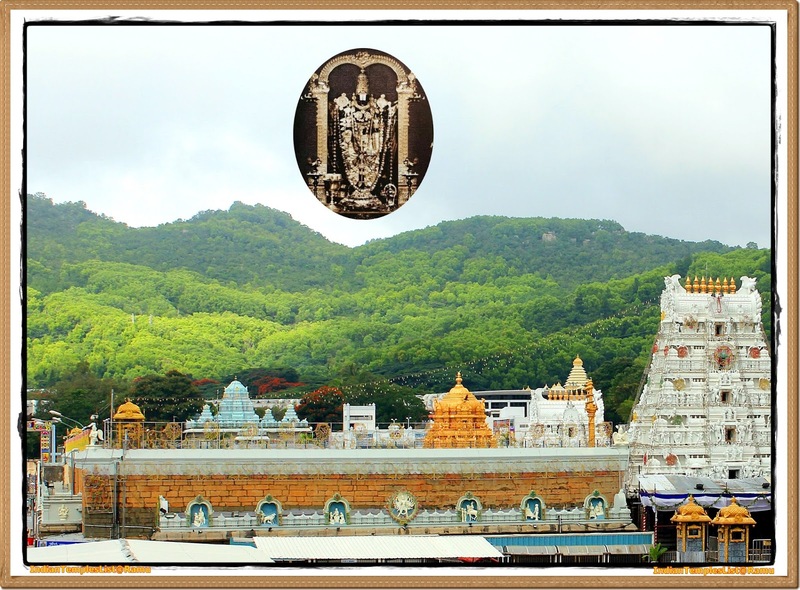 What is the nearest airport to reach Tirumala? The nearest international airport connecting Tirupati is Chennai International Airport (IATA: MAA), about 148 km from Tirupati.